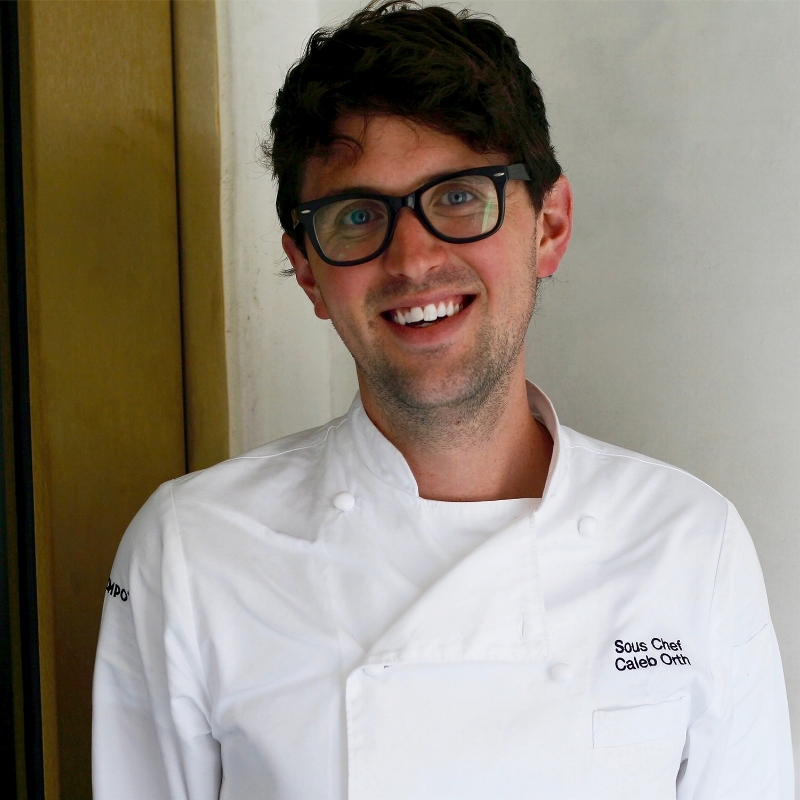 While completing his culinary education at The International Culinary School at the Art Institute of Seattle, Caleb Orth worked as the Sous Chef and Catering Lead at Skillet Street Food and Catering. In 2011, Orth was tapped by the company to be the Brunch Sous Chef at the highly anticipated Skillet Street Food Diner, before he moved on to become the Head Chef at The Lookout in Seattle in 2012. In 2013, Orth moved to Los Angeles, where his organization and ability to work in a fast-paced, high production kitchen allowed him to excel as Chef de Cuisine at Flatiron Catering and Food Truck and then as the Full Service Catering Chef for Heirloom LA. Through each of these positions Orth was able to develop meaningful relationships with local purveyors as he sourced fresh ingredients from Los Angeles farmer's markets. In June of 2015, chef Orth became the Sous Chef at Belcampo's Southern California flagship restaurant in Santa Monica, where his experience in the local market and commitment to fresh ingredients complement the restaurant's rustic and seasonal California cuisine.